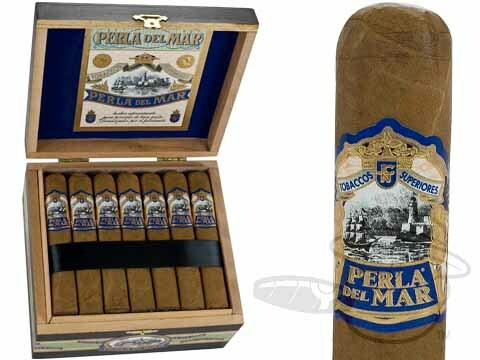 Featuring a select blend of filler tobaccos from four different Nicaraguan growing regions beneath a silky Ecuadorian Connecticut wrapper leaf, J.C. Newman's Perla Del Mar cigar is an exquisite affordable luxury. Boasting unique and refined Nicaraguan flavor and handmade at the same factory as the widely acclaimed Brick House cigars, these box-pressed beauties are sure to add a new dimension of classic taste to your humidor. A great tasting, perfect size cigar! Perla Del Mar Perla M is rated 4.8 out of 5 based on 3 customer ratings.